This Valentines Day we’re celebrating #UnlikelyLove! Do your cat and dog have a blossoming friendship? Are your horse and your chicken inseparable? Has your rabbit taken a liking to the goldfish? Or are your kids and your pet goats besties? Courtesy of Omlet and Shaken Udder, you could be in with a chance of winning a New Eglu Cube and a bundle of milkshake goodies. 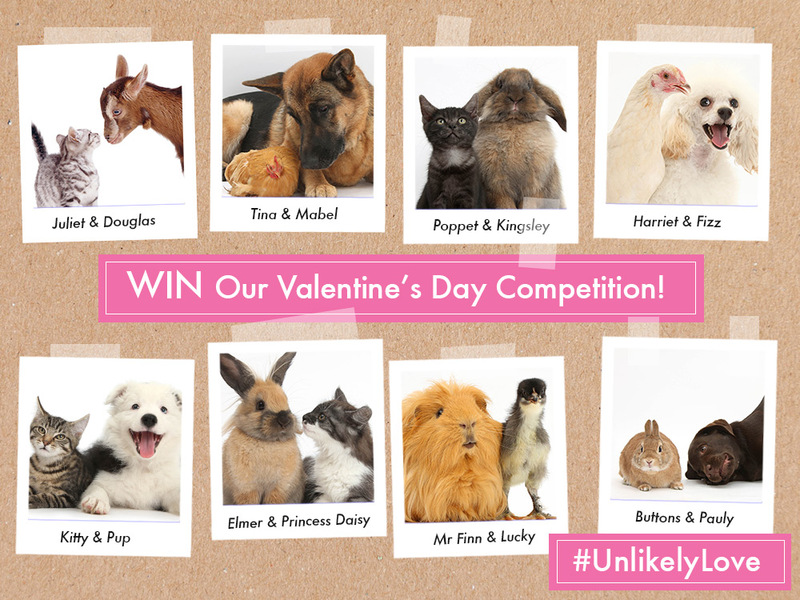 All you have to do is share a picture of a time you’ve captured a surprising friendship on our Facebook post, tweet us or tag us on Instagram with the hashtag #UnlikelyLove, winners will be announced at 12pm on Valentines Day so you have until then to enter! The competition closes at 11:59am 14th February 2017. The winning entrant will be selected and notified by social media on 14th February 2017. Omlet and Shaken Udder reserve the right to withdraw the competition at any point. Prizes cannot be transferred. This competition is only open to UK residents. You must have the rights to the image you enter.